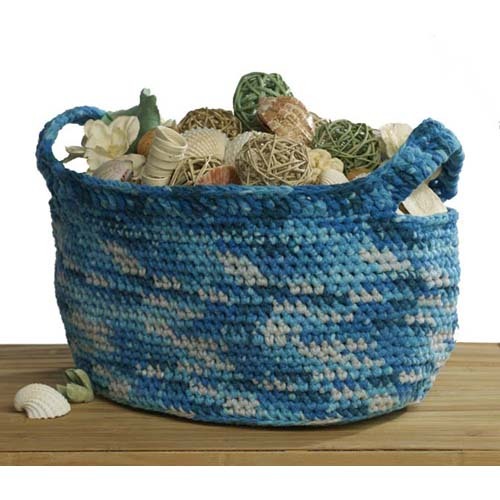 Today’s free pattern from Premier ® is for a shell catcher basket. This pattern is for beginning crocheters, so the only difficulty you’ll have is in deciding what color of Cuddle Fleece you’ll want to use: a solid, a stripe or dots. Whatever you choose, you’re sure to love it! Have fun and happy crocheting from Maggiescrochet.com. Ripples and Chevrons and Zig-Zags, Oh My! Is there a way to get a printed (pdf or anything like that) instruction to the Shell Catcher Basket? I tried to watch the video with the CC feature turned on – it’s not spelling or saying it all correctly; although I could figure it out (yes I’m deaf). Disregard the question – had to find it another way and FOUND the pdf file. Thanks.